F & A appliances is a family company located in City of Industry in Los Angeles County. We have been in business for over 20 years providing excellent services to residential customers throughout Southern California. 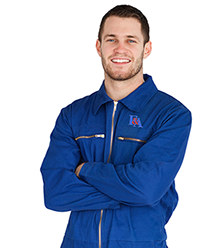 Our technicians are qualified factory trained and bilingual in both English and Spanish. We service nearly all makes and models of appliances and even carry the most common factory parts in our truck to make your repair and quick and efficient as possible. Contact us today to schedule your service repair! How is your Refrigerator, Stove, Washer or Dryer working? If you need help, we can help you. Make an appointment today.